After releasing build 14926 for insider members, Microsoft Windows insider team is now working on a new build. Insider team is now testing Windows 10 PC build 14930 and mobile build 10.0.14930.1000 internally. 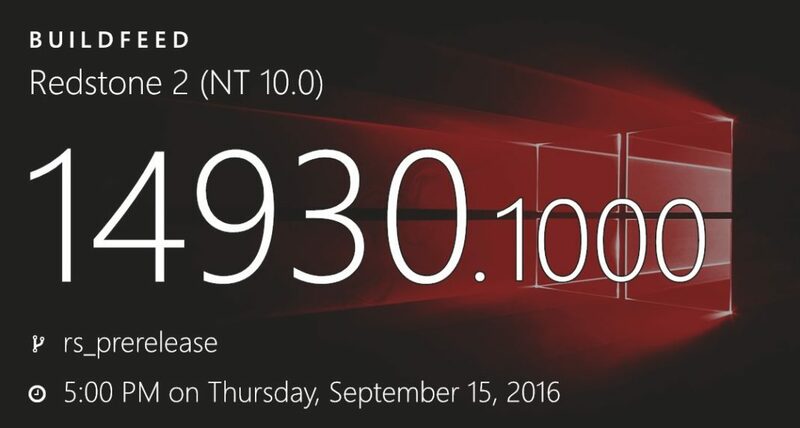 The latest internal build is compiled on September 15, 2016. Recently, Microsoft rolled out build 14926 for fast ring insider members. There are few new features in the latest Redstone 2 build. The company also released Mobile build 10.0.14926 which unfortunately bring some issues for insiders. A new cumulative Update kb3189866 build 14393.187 for PC and Mobile build 10.0.14393.189 for Windows 10 Anniversary Update users is now available.